The Getting Started Guide…your simple steps to Reliv success. Distributors can use this full-coloured book to present the Reliv opportunity simply and effectively. Customer order/ Invoice/ Receip Pad. 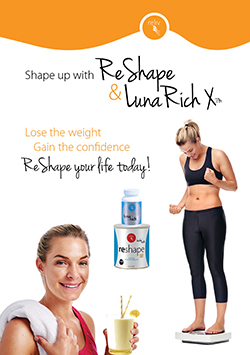 This full-coloured brochure includes testimonies from our Shape Up with ReShape Weight Mangement Program.